Nevada's most notorious Republican and gun-nut is confused by the circumstances surrounding self-professed martyr, LaVoy Finicum's death. It's a great day for America and law and order. The militant uprising at the Malheur Wildlife Refuge has come to a relatively violent end. The conflict was over a settled matter in law and it was dragged on for almost four weeks, which finally came to a conclusion last night, for the most part. 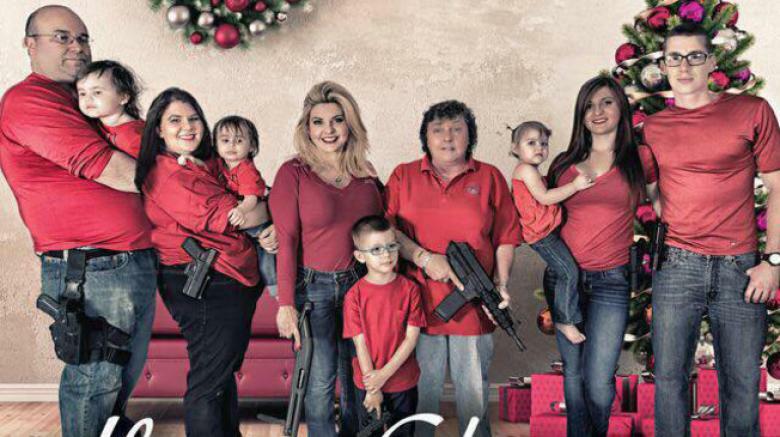 Supporters on the hypocritical right-wing were incensed, none more than Nevada's Congressional hopeful and pin-up gun calendar gal, Michele Fiore. She's been part of the Bundy Bunch fan club since April, 2014 and has continued to pledge her support to this contrived cause of free-dumb and liberty. When Finicum, who was not killed by Federal Law Enforcement with his 'hands up,' suffered his well-deserved demise, Fiore and the Teabagging posse went ballistic on social media.